Tropitone and designer Fredric Doughty were inspired by the Italian peninsula city of Sorrento, the land of the sirens, to create this outdoor furniture collection. 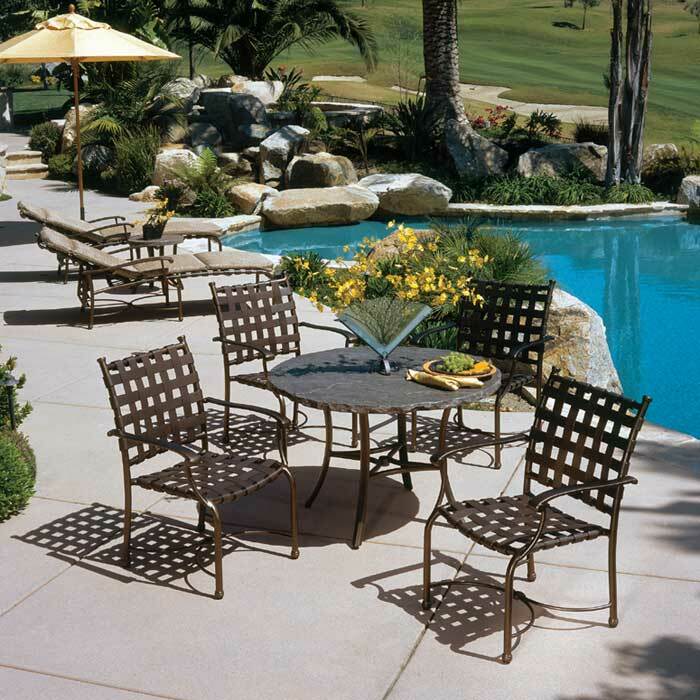 Featuring graceful curves and an extruded frame, Sorrento Cross Strap seating offers the ideal aluminum patio furniture solution for outdoor spaces. Tropitone pioneered the technique of double-wrapping vinyl straps around the aluminum frame for extra durability exhibited by Sorrento Cross Strap Furniture. Simple maintenance, aluminum construction and weather-tough finish mean Sorrento Cross Strap Dining Chairs, Bar Stools, and Chaise Lounges will be in top shape, year-round.